The family of companies known as Kraus-Anderson wear many hats: construction management, development, property management and risk management are among the capabilities that make KA a sought-after resource for clients across the United States. Perhaps less known, but no less important, is the devotion KAers have for living out KA’s shared core purpose of Together, Strengthening the Communities We Serve. Even when those communities are far from home, and push us outside our comfort zone. One example is Gary Kemp, a risk manager KA Insurance. For many years, Gary and his wife Carrie have followed their hearts to strengthen communities in war-torn Guatemala. Guatemala has experienced instability and civil war for decades. 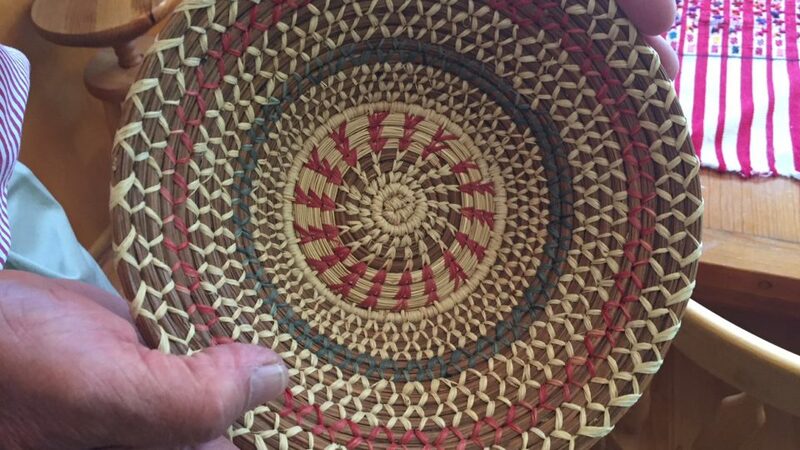 The country’s indigenous Maya people have been heavily oppressed for many years, subject to racism, poverty and genocide; and left struggling to find sustainable work and education. 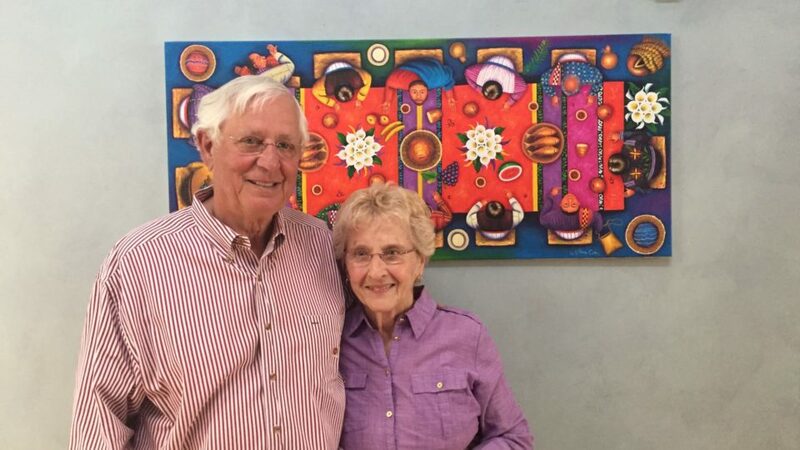 The Kemps stepped out from their comfortable lives to face the harsh reality of the Maya, and their efforts have touched the lives of thousands of Guatemalans. 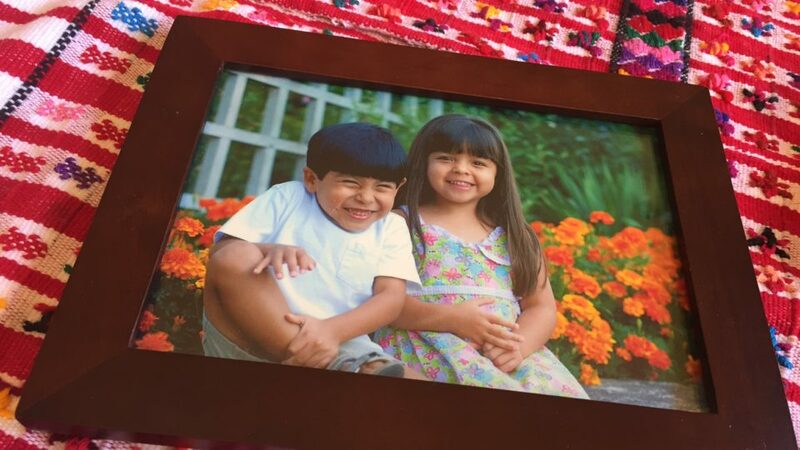 The Kemps’ involvement began 12 years ago when their two grandchildren, Anabel and Lucas, were adopted from Guatemala. Traveling from Minnesota to pick up the babies in their birth country, Carrie Kemp’s eyes were opened to the extreme poverty and many challenges faced by the Mayans. She returned with two beautiful babies, and a heavy heart for the people left behind. “I was so overwhelmed by the culture and the need people have there. I couldn’t shake the feeling that there was something we could do,” Carrie reflected. Moved to help, the Kemps began making connections with nonprofits and people they had come into contact with after the adoption of their grandchildren. The Kemps realized that the Guatemalans needed work in order to provide for their families. Because the Maya have been so heavily oppressed for decades, finding sustainable work and income is very difficult. 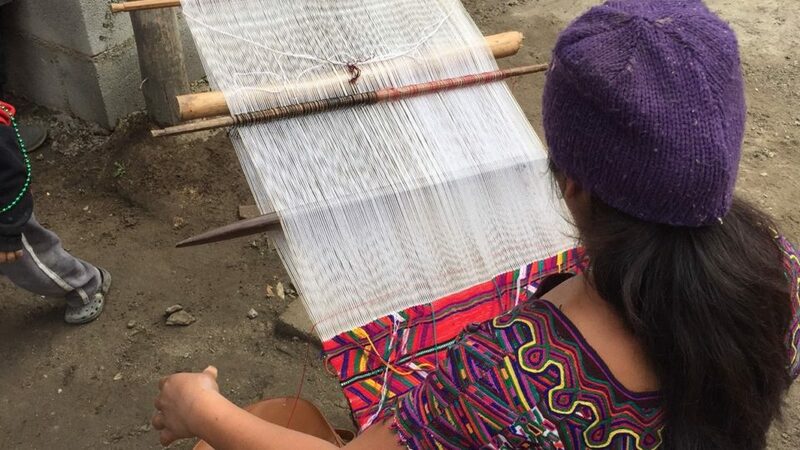 The Kemps began working with Mayan Hands, a nonprofit that helps women form cooperatives, providing people with sustainable incomes and healthcare. On their annual travels to Guatemala, the Kemps bring back suitcases full of the women’s intricate, beautiful craft work to sell at fair trade markets across the state: monies raised from the sale of the hand weaved baskets, scarves, rugs and other fabrics all go back to make a better life for the Mayan people. As they learned more about the history of this country, the Kemps found that education was also a concern, especially among the Mayan communities. 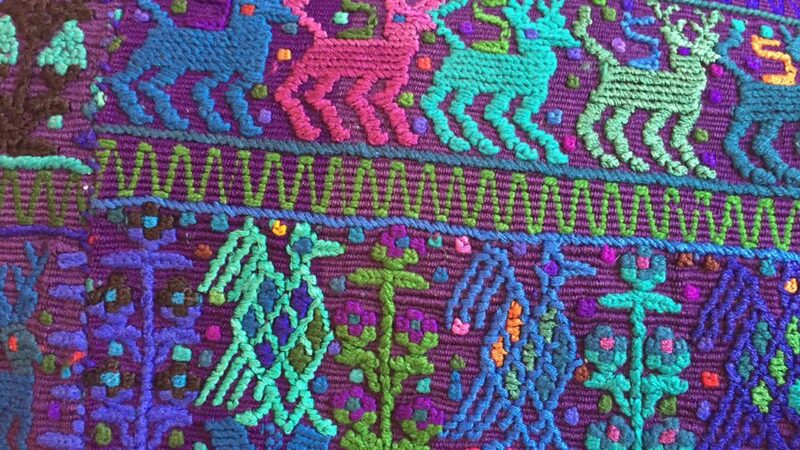 An example of intricate Mayan cloth work. In Guatemala, there are 23 different Mayan languages spoken. Schools in Mayan villages teach students in Mayan, but the tests are in Spanish, leaving students bound to failure. The Kemps began a partnership with Limited Horizons to help remove these language barriers. The organization teaches students in Spanish so they can pass their tests. The Kemps also sit on the board and work with San Lucas Toliman Scholars, an organization that funds students’ education through high school, while the government only funds through sixth grade. Some 700 children are served in the program. Guatemalan home after the addition of a concrete floor. The new floor protects the house from mud in the rainy season. KA Insurance has provided donations to support the Kemps in their continuing work in Guatemala. 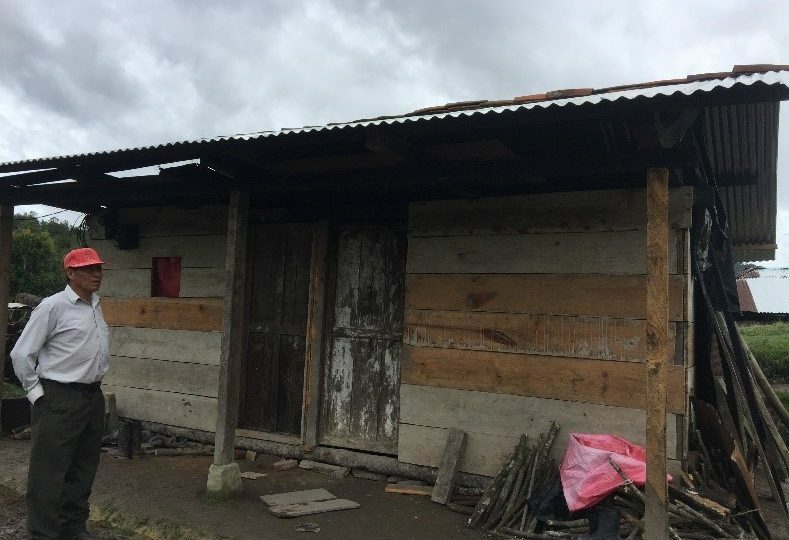 Earlier this year KA helped fund repairs to houses in the remote village in Xix (pronounced “sheesh”), an area populated with many Mayan widows whose husbands were lost in the conflict. Simple repairs like new roofs, doors, kitchen areas, bedroom additions and concrete floors will greatly improve the villagers’ lives, especially during the rainy season. What started as a journey to adopt two children, has turned into a lifetime of discovery and rewarding relationships for the Kemps. After 12 years, their journey continues, helping build homes, livelihoods, and a path to education and a better life for literally thousands of people. But just as profound is the change they have seen in themselves. November 4: Eau Claire Global Mkt. Thank you so much for writing, Greg! Your parents are inspiring to all of us.